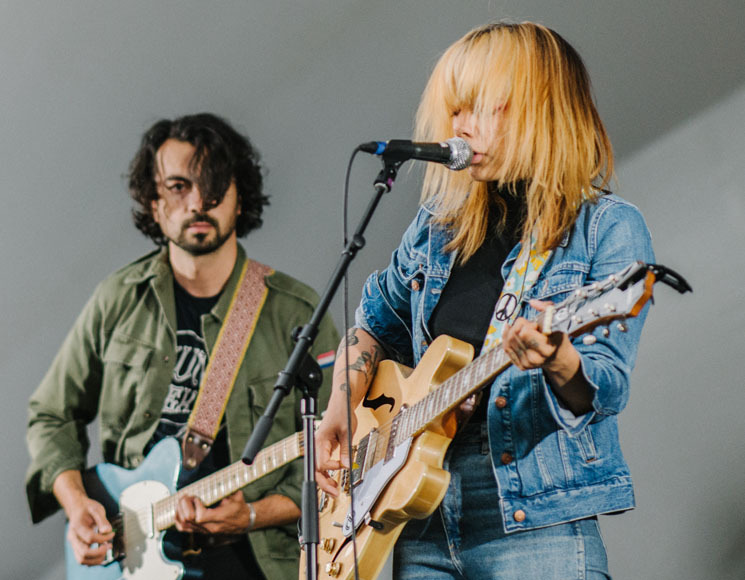 "This is for all the folk-y queers out there," Alynda Segarra declared before belting out "Hungry Ghost" with Hurray for the Riff Raff, as the rain poured down upon a large crowd of people sitting on the grass in Edmonton. The band's textured dance-rock had a punk charge, and Segarra was intent on driving her messages home through the rain. She conjured Patti Smith during the politically charged "Rican Beach," confronting her American homeland's immigration debate and its inherent racism before a largely white crowd in a Canadian prairie town with a conservative history. She introduced a brand new anthemic rock song by telling us a Langston Hughes poem called "Kids Who Die" inspired her to write it for youth who stand up to the powerful. Sometimes they lose their lives for a cause, she said, and the crowd could only stoically acknowledge the truth that mingled with the dampness in the air. At the end of their set, the band responded to calls for an encore by playing a version of "Dancing in the Dark," from Bruce Springsteen's Born in the USA, and the tension between its themes of alienation and galvanization made perfect sense for this set. With their vaguely classic and garage rock attack, and topical songs, Hurray for the Riff Raff were rather electrifying, charging back at the rain that fell with a flood of truth to power, finally bringing the whole crowd to its feet for an unexpected dance party.